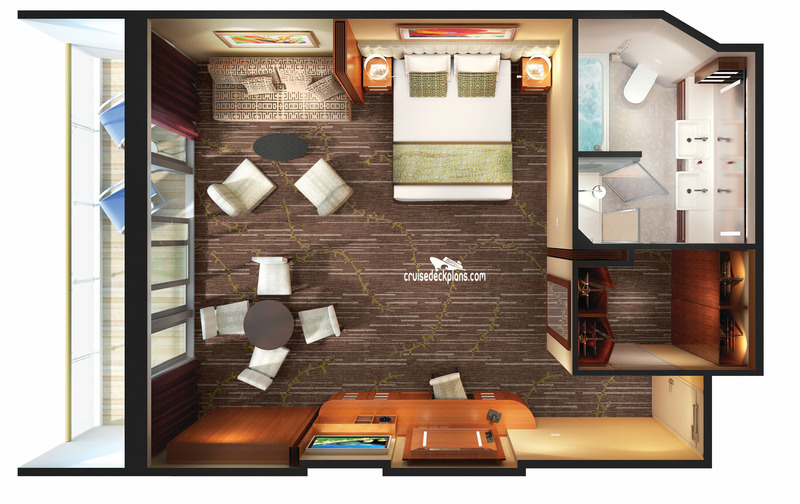 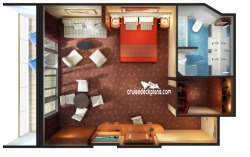 These are the typical floor plans for Family Suite with Balcony Staterooms. 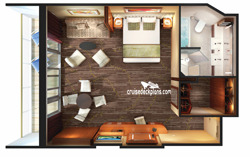 Actual room layout and decor might be different. 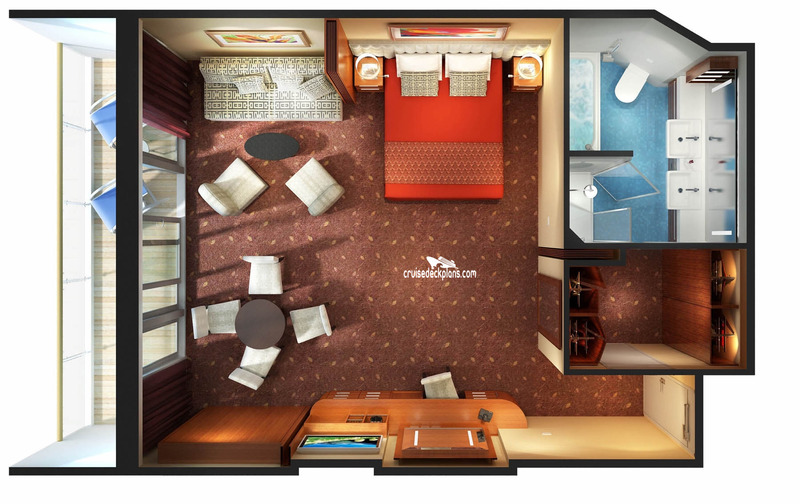 This is a Family Suite with Balcony Stateroom.